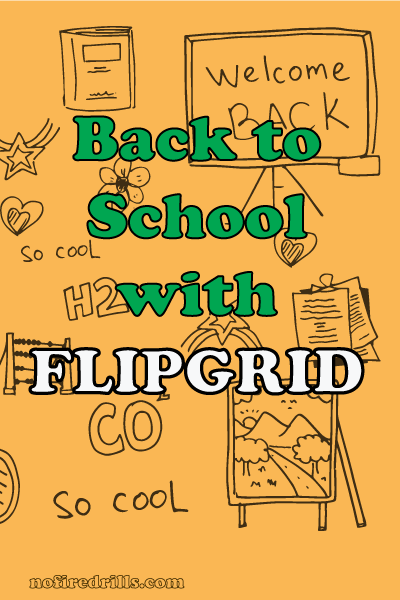 Back to School with Flipgrid - Be your best teacher! This year, I will be “breaking the ice” in my high school classes using Flipgrid. I have Flipgrid Fever! It is almost time to put on the work shoes and go back to teaching school. I don’t want to greet my class with forty-five dull minutes of explaining the course, the rules or the homework policy. My objective for the first day is for students to feel comfortable in the classroom and learn a little about the people they share it with. The plan is to have each student make a short video introducing themselves and answering some serious and some silly “get to know you” questions. Flipgrid is perfect for this activity. I have had great experiences with student video assignments. See The Power of Student Voices! Flipgrid is a web and mobile based application which allows students to upload videos in response to a teacher’s prompt. A grid is created where students can view (and like!) their classmates’ submissions. Students access the grid via a web address on their computer or with a mobile app. No registration is required. In the free version, teachers are allowed one grid with unlimited topics and unlimited student responses. There are options for sharing, privacy and if you like, you can moderate responses before they go live. The paid version ($65 per year) gives teachers more grid and assessment options and allows students to create longer videos and also create responses to their classmates. Previous Post Animate Google Classroom! Next Post Nail Your Students’ Names on the First Day!